To become a CNA you will have to successfully complete a structured training program and pass a state board exam. 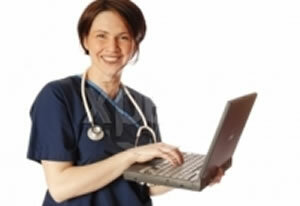 To locate a program in your area, try searching the internet for “CNA training programs”. Include your state or city to fine tune your search results. Another good resource is your state nursing board. Many state board websites include a link to a list of programs offered in that state. Many local community college or technical schools have CNA programs, and offer training at a reasonable cost to “in-district” students. If you live in an area experiencing a shortage of CNAs, you may be able to locate free training through a local nursing homes or hospital. To qualify for the free training, you will most likely be asked to sign an agreement to work for them for a specified period of time following certification. If you are a high school student, your vocational school department may offer CNA classes at little or no cost. Many Red Cross branches now offer CNA training. How to become a cna without a high-school diploma? Now that you’ve found a program, you will need to find out if you meet the requirements. Though some programs require a high school diploma or GED to gain entry, and some states require a high school diploma or GED to become certified, not all do You must be able, however, to perform simple math calculations and read, write and speak English. Most programs will require a back ground check and drug screen. Program costs vary. You can expect to pay $250 to $1000 for your training. While some schools include the cost of books, uniforms and supplies in the over-all cost of the program, some consider these separate expenses. Another variable is the length of the program. There is no standard, and you may find programs lasting between 3 weeks and 3 months. These are questions you will want to ask as you search for just the right program for you. Your training program will most likely consist of a combination of classroom work and clinical training where skills learned are practiced. Many CNA programs have a dedicated lab where skills are practiced on maniquins. Other programs allow students to rehearse new skills on one another. Eventually, you will have an opportunity to provide care under the direct supervision of your instructor who will provide you with immediate feedback on your techniques and interaction with you patients. Some people are outgoing and enjoy being in the company of others. They like to help others whenever possible. These are the people that make excellent CNAs. Not everyone is cut out to be one but those that are will love their job. RNs would be lost if it wasn’t for the help they get from certified nursing assistants. Patients rely on them to help them recover from injuries or illnesses. The job duties are many and the hours long, but it is a rewarding job. As a CNA you will be taking vital signs, helping with hygiene and nutrition and even taking blood and urine samples. With your help the doctor and nurses will be able to see if the patient is improving. They will need to know blood pressures, temperatures and many more things to learn this. You will be responsible for these things. It could be measuring input and output of fluids to see that the patient is recovering. Many patients will need your help with things as simple as brushing their teeth and taking a shower or bath. Not all patients will be well enough to do these things on their own. They could need help being fed. It is up to you to see to it they get their meals every day. Patients that are bound to a wheelchair will need your assistance getting in and out of their bed and chair. The education requirements are really quite easy. The school will last about 8 weeks if you can go every day. Night courses will take twice as long to complete. You will have to do some hands on work but that can be done at a local hospital. After completing your courses, there will be a certification test that you must pass. Your state will give the exam. Once you are certified it will be time to begin working. The CNA will work hard and get paid around $20 -$35 per hour. This is going to be different from state to state. Also the city you live in can make a big difference. Many states have a high demand for CNAs. They will pay higher than other states. New York is one of those states. The workload will be stiff but rewarding so you most likely will enjoy your work. You can expect to be tired when you get home and you can also expect the day to fly by for you.